20 Minutes is really all you need, I promise you. These pork chops are seriously amazing. The aroma alone is worth cooking it for dinner, let alone the taste and overall ease of the recipe. Jonathan was the one who originally thought of this tasty treat (see, I do give you credit, J!) and so when he brought pork chops home the next night, I was game! The key to this recipe is the seasoning. But before you season, you’ll want to take the pork chops out of the packaging and pat them dry. They can just chill out (Haha… get it!) until they are room temperature. Once they have been out for a bit, you can begin the seasoning process. Be liberal with the salt and pepper! I know you might think it’s too much, but trust me, the meat needs the seasoning to tenderize it and give it flavor! Before you actually begin to cook the tasty chops, make sure you have everything ready near you. This is what will help you keep this dinner done under the 20 minute mark. Look at that crust! By searing the meat first before adding the additional seasoning and the butter, you’ll be able to reach that mouthwatering view. Also, this is about the time your house is going to smell so amazing! So, what are your other favorite 20 minute meals? I would love to know more especially being a working teacher! If you found this recipe tasty and want to share/save for your friends, pin the image above and enjoy! Remove pork chops from packaging and pat dry. 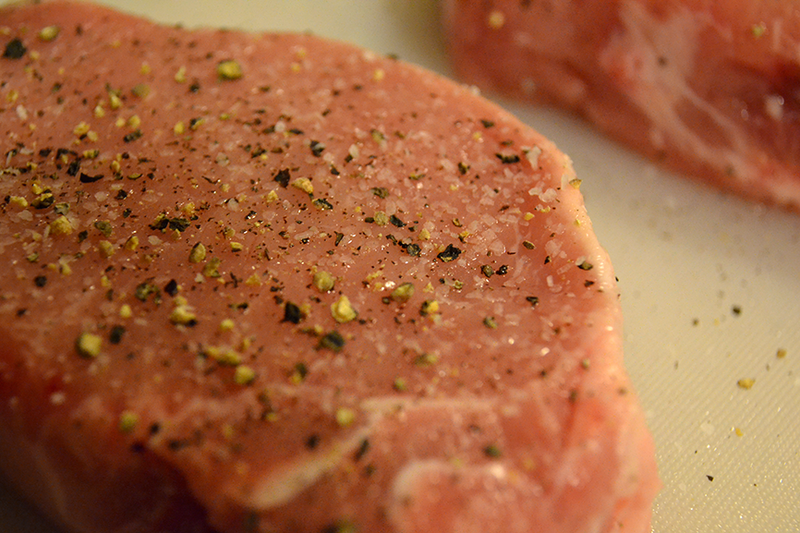 Let the pork chops rest to room temperature before seasoning. Season with salt and pepper liberally on both sides. Turn a pan on high heat with a little olive oil and coat the bottom.2. 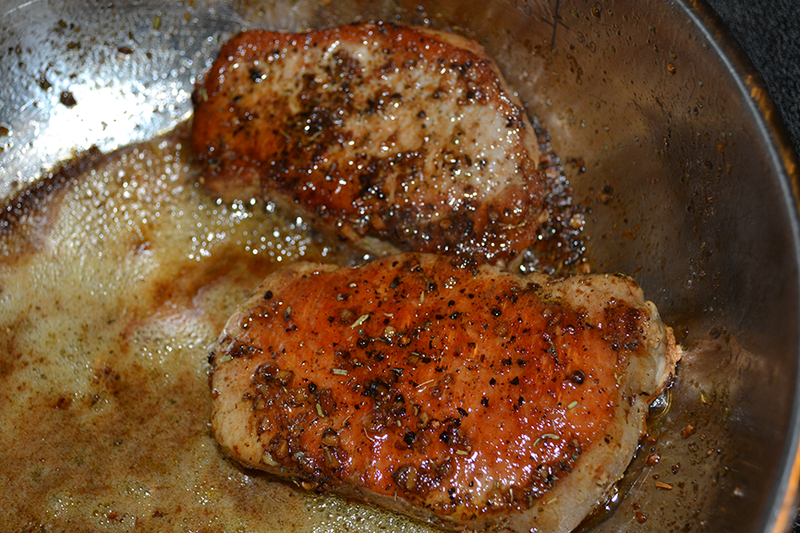 When the pan is hot, place the pork chops on, letting them 4 minutes per side. Don't mess with them at all during these 4 minutes. Drop the temperature to medium high heat. Once they are seared on both sides, flip them to the edges and sear each side while rotating the meat around. Once the sides are seared, push the meat to the side of the pan (stack them if needed). On the other side add the butter and Italian seasoning. Mix both on the side until the butter has melted. Place the meat back into the butter mixture and baste continuously. Flip the pork chops over and continue the same process for 2-3 additional minutes. Remove pan from heat and cover loosen with foil. Let these rest for 5 minutes. Once the 5 minutes is over, you can plate the delicious chops, spooning over the drippings with your favorite sides and ENJOY! 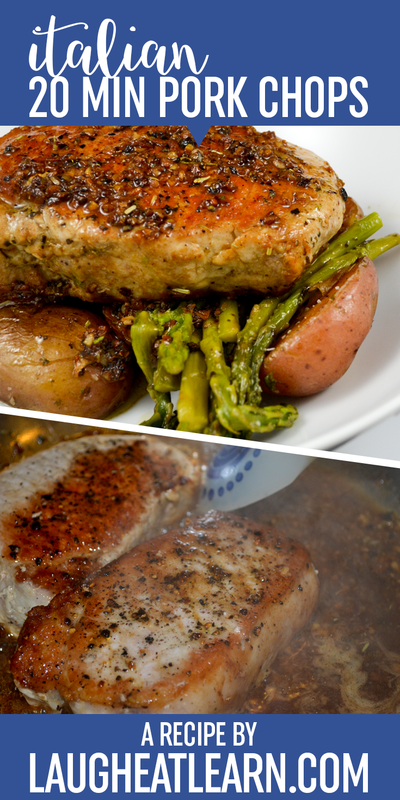 My hubs loves pork chops… I'm definitely going to try this the next time we cook them! Thanks for sharing!